It’s “one last” collaboration, the producer wrote on Twitter. 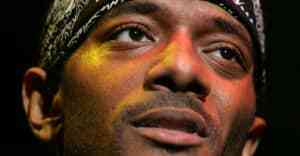 The Alchemist, a producer who frequently collaborated with New York duo Mobb Deep, has shared "Try My Hand," a new song from the three of them that comes just over a month after the untimely passing of Prodigy. "One last time," the producer wrote on Twitter as he shared the track, seemingly closing the books on their long-promised album. If it is indeed the last we'll hear from the trio, it's a compelling full-stop, with the paranoia and sharp lines that made their work together so special. Listen to "Try My Hand" below. It will appear on The Alchemist's upcoming compilation album with Budgie, The Good Book Vol. 2.